In this segment of Crypto Basics, we’ll guide you through the steps on sending your bitcoin to Binance exchange, the world’s largest altcoin marketplace, which will open a new frontier in the exciting world of cryptocurrencies. As we all know, bitcoin isn’t the only cryptocurrency out there. With such an enormous variety of tokens on the digital market, it’s only a matter of time before users begin exploring other assets, known as altcoins. If you already own bitcoin, then you can skim over this section, but for those that have yet to buy their first bitcoin; read on. Buying your first bitcoin is a milestone event. It solidifies your position in a world that many have heard of but have yet to venture in. Below is a quick overview, but for our in-depth guide on how to buy bitcoin take a look here. First, you will need to create an account on Coinbase. It’s one of the largest and most trusted digital exchanges that provide a user-friendly experience. Follow their steps and take your time. You will need to verify your email, phone number, identity, and bank account. These steps may prove to be time-consuming, but once you complete this, you’ll be one step closer to trading your bitcoin. Now that your account is verified and you have the green light to make your first purchase click the bitcoin symbol and enter the amount of bitcoin you’d like or the amount of money you intend to spend. Congratulations! Your purchase was successful, and you instantly have bitcoin in your BTC wallet. 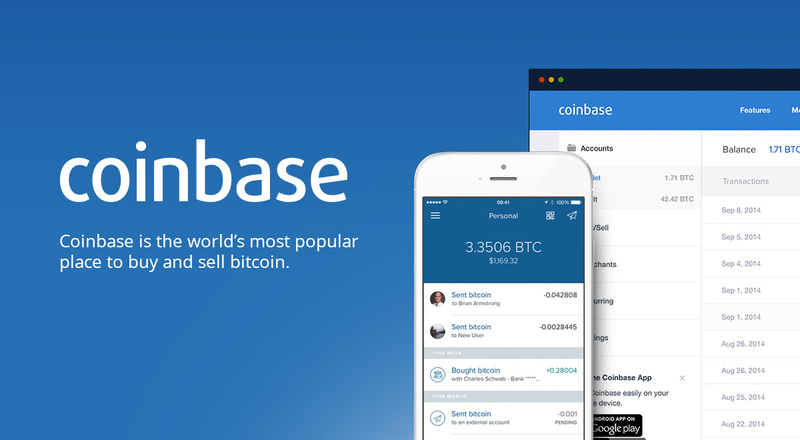 Now that you have bitcoin in your wallet on Coinbase, you’ll want to send it to another exchange that specializes in altcoin trading. 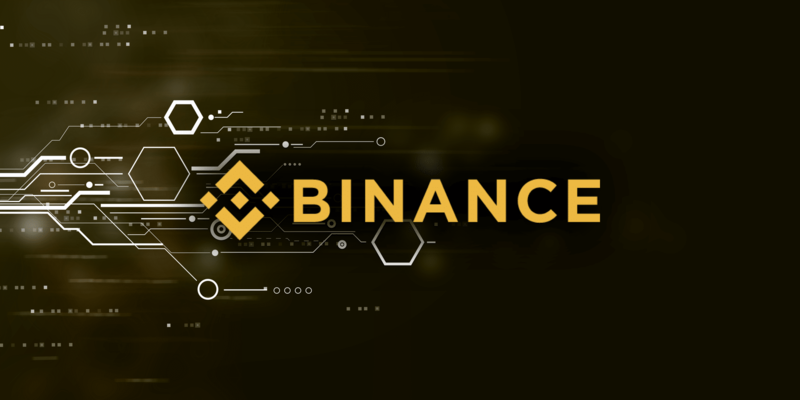 Binance is the world’s largest digital marketplace, with 145 different altcoins directly tradeable from BTC, also known as BTC pairs. 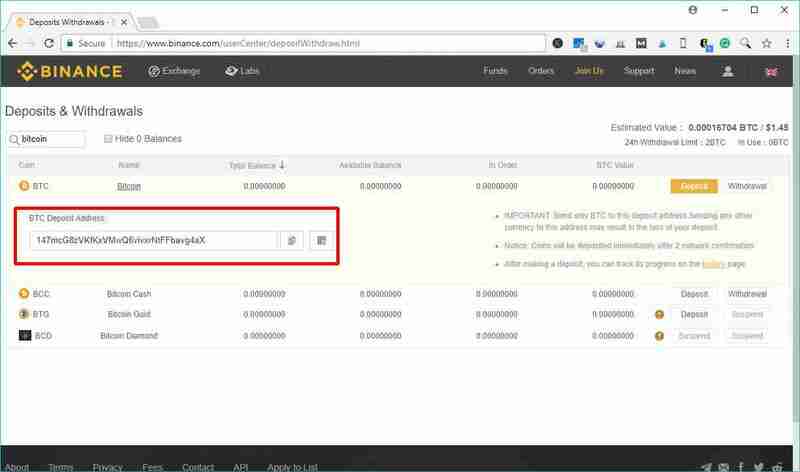 Before you send anything, you’ll have to create an account on Binance. The process is much faster than creating an account with Coinbase. Visit Binance, and after verifying that the URL is correct, bookmark the page. It’s with utmost importance that you always check the URL and certificate to make sure you’re not being phished by a fake website trying to steal your assets. Next, click the ‘register’ button. Enter your email and create a unique password. You will receive an email from binance asking you to verify your email. Great! Your account is now live, but there are a few necessary steps to take before sending anything. Security should be the top concern of anyone in the crypto world because of hackers and malicious malware always on the hunt for an unsecured account. Click the “account” button and enable 2FA with Google Authenticator. This is a quick and easy step that gives your account maximum security from hackers. If not, download Google Authenticator app on your phone. When you click “enable 2FA” on Binance, it will show a giant QR code with a string of random letters above it. This 16-24 character code is a one-time use password if your phone is lost or stolen and you can’t access your 2FA code. Next, open the Google Authenticator app on your phone and click the addition symbol. This will lead you to your camera, which you’ll point at the QR code on Binance. You will need to enter the code shown on your phone to activate 2FA on your account. Now, anytime you log into Binance, you will need to provide your email, password, and your ever-changing 2FA code that is only accessible through your phone. Now that you’ve secured your Binance account, it’s time to send your bitcoin to it. Click on the “funds” tab, and then click the “deposit” button. Find the bitcoin (BTC) option on the drop-down menu. Once you’ve selected bitcoin, you will be given two options: deposit and withdraw. Click deposit. A QR code and an address will show up. This is your bitcoin-specific deposit address on Binance, copy the address. We’ll stress this again- make sure the wallet says bitcoin (BTC), and nothing else, such as bitcoin cash (BCC). This is the section that many new users of cryptocurrencies are scared of. There’s a legitimate reason behind this fear- if you send your tokens to the wrong address, they will more then likely be irretrievable. In another tab, log into your Coinbase account. 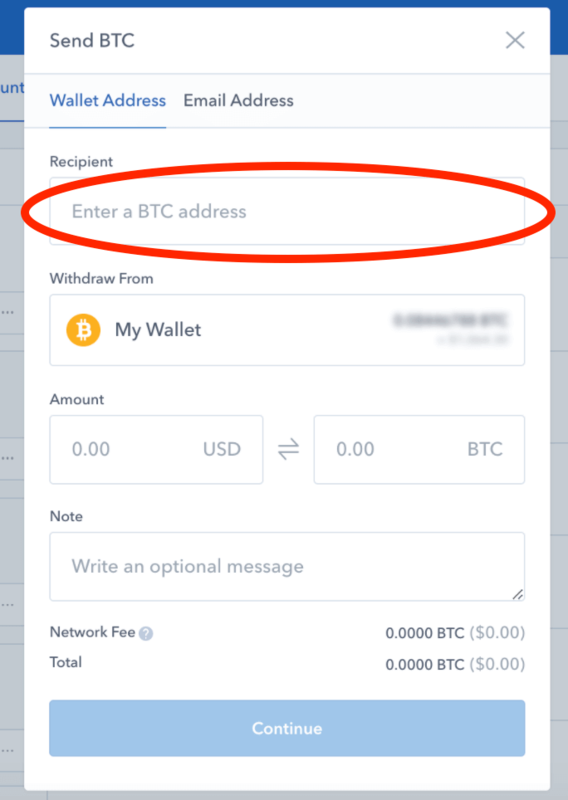 Head over to your bitcoin wallet, and you will find “send” and “receive” options. Click the send option. You will be directed to a new page that asks for the destination address and the amount that you intend on sending. The destination address is your BTC address on Binance. Paste your BTC address from Binance in this field. If you are genuinely paranoid (as you should be), triple check the address so that it matches and only send a fraction of the amount you intend to send. Doing a test transaction will make this process significantly longer, but for your first time, you should take every precaution. 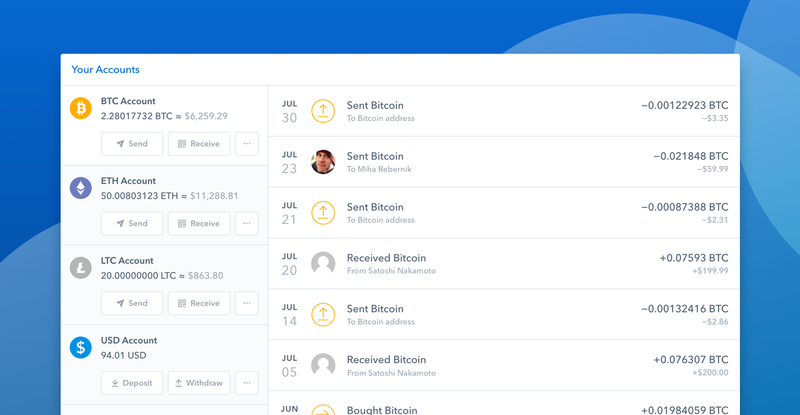 Once you’ve checked that the destination address you’ve entered Coinbase matches that of the address given to you by Binance, enter your desired amount. Coinbase will ask you to review the transaction to make sure everything is correct. You will then need to confirm the transaction again via email by Coinbase. Now that you’ve officially made your first bitcoin transaction kick back and relax. You can actively view your transaction on the blockchain as it makes its way to its destination address via the transaction ID. Bitcoin isn’t the fastest when it comes to transaction speed, so give it about an hour to reach your Binance BTC wallet. Now that your bitcoin is inside your BTC wallet on Binance, you can begin trading. Check out our Crypto Basics segment on trading on Binance for a more in-depth guide.